Red is everywhere.. including my theme.. splashes of it all over the place. Red was once my least favourite colour and now look at me now.. Lady in Red if you may. 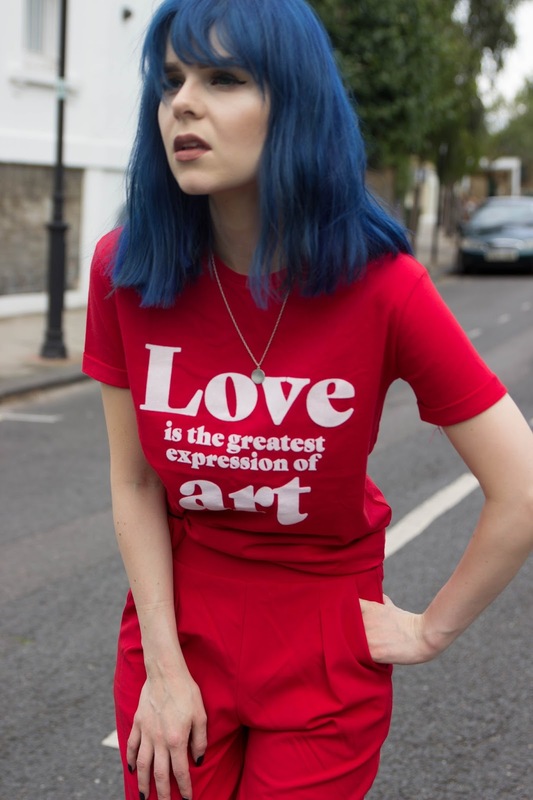 This tee is cute though and only over a fiver from Straddy so why not? 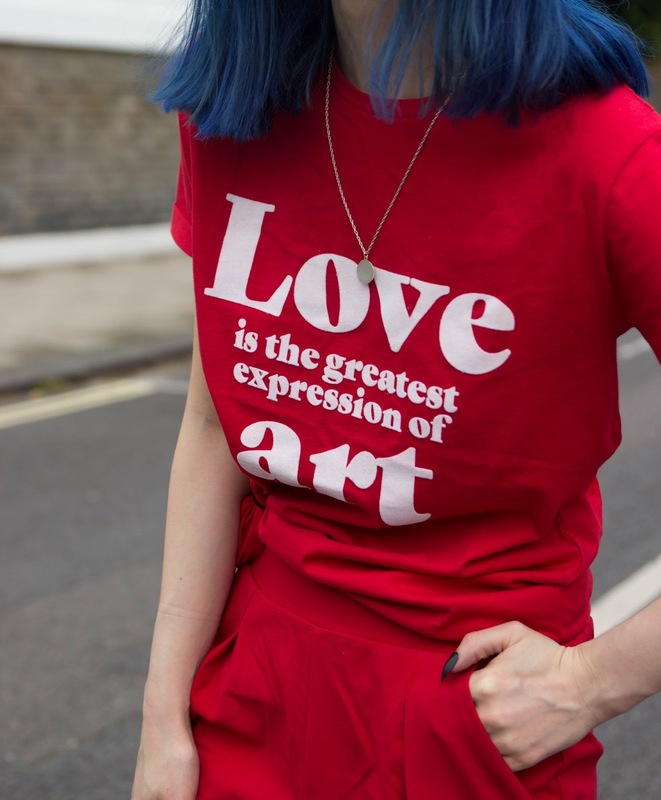 'Love is the greatest expression of art' is such a strong message, I believe freedom is also on equals with that but I'm all for a good quotation like the next pinterest obsessor. You'd think that in such an assumed competitive environment that you couldn't create such a strong bond in the blogger community but you really can and I've met some of the most wonderful people! 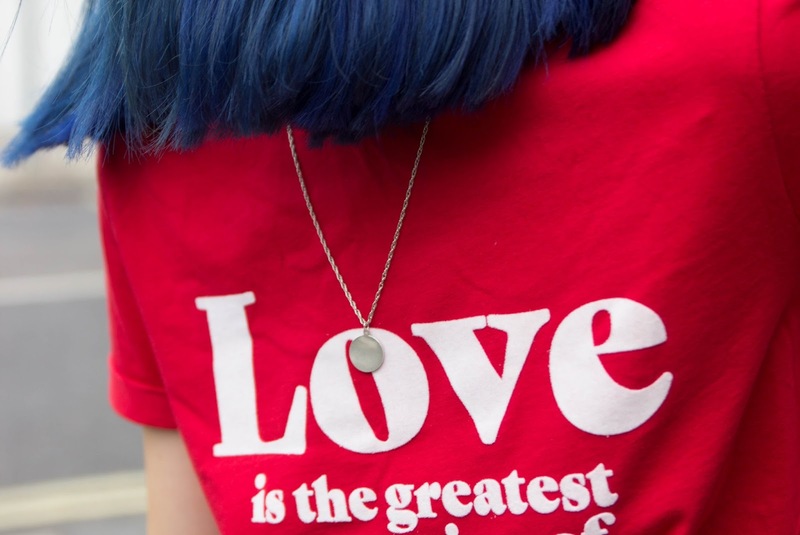 Love is everywhere and it's great and sometimes when you take everything away, you're just a human, feeling your emotional instincts and I LOVE that. I want people around me to do well. I want to be someone who cares. I am someone who cares! I aim to be kind. I aim to be fair. I aim to choose to love. I urge you to try doing the same. Let's bring back those 100 days of happiness posts or those paying a compliment every day to someone new! It may be a predictable post, and in theory I won't always remember to be the kindest I can but those little reminders can always help you to simply be a better person and what's wrong with a little push, right?